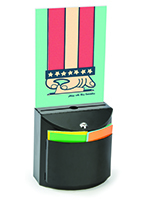 This custom ballot box has the ability to display your 8-1/2"w x 11"h graphics for full-face viewing. 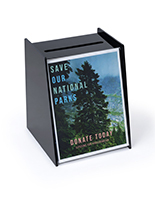 These registration boxes, also known as ballot boxes allow you to change your message or promotion anytime. 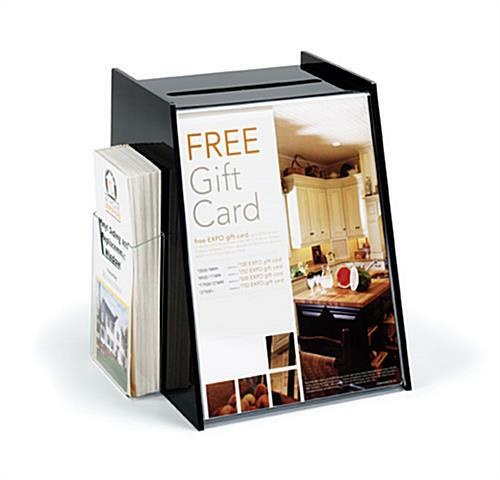 This attractive black contest box measures a generous 11" tall x 9" deep. 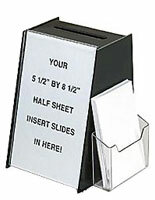 The protected clear sign holder functions as a slide away cover that latches to the back of the box. 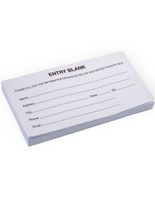 Drop slot is 7" long by 1/2" deep for easy accumulation of many entries. 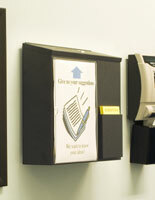 The pocket is included and can be attached to either side of the box. 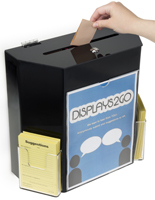 we ordered two and they make a beautiful display box to attract employees to share ideas. 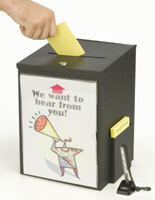 Also, the comment cards are well enclosed within the box so everyone feels more free to express ideas. Great box!! 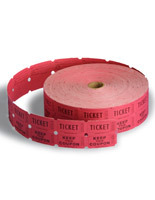 We use these at all of our bank branches and take out to events. 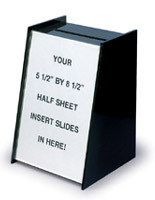 They are a perfect fit on the teller counters and sit neatly on any table. 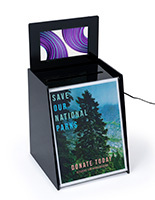 Plus I like being able to customize the sign on the box with details about the drawing.